Icetip is a awesome, simple, customizeable and powerful tooltip addon. Backdrop coloring for guildies and friends. Border coloured by item's quality. Your feedfack is important! Please sumbit bugreports, localizations in your language.Have a problem? Please create a ticket on wow.curseforge.com. Like my addon? Tell Other. Please submit your translation updates via Curseforge.com localization. 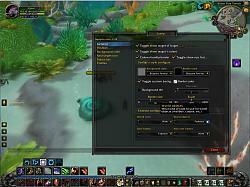 1. fixed a bug that tooltip cant click glyph button in the talent panel. would love to select a option for class colored names, disabeling titles and disabeling faction. hey, can you add Font / font size options to the Style menu? Also, could you Add a way to have your display set @ lower right like normal and an alternate option like on scene options so you could have a 2nd save position? So we're talking a double position option request. Last edited by twopro : 01-03-13 at 07:44 PM. "Icetip has been blocked from an action only available to the Blizzard UI...."
Last edited by kittykatmax : 08-28-12 at 08:37 PM. I have tried many tootip addons over the years and have found this one to be the best bar none. If anyone is thinking about using this, all I can say is go for it. It took me probably five minutes to configure it just they way I wanted when I would spend forever messing around with the settings of other tooltip addons to achieve the same thing. Very impressed! Keep up the great work wolftankk! Last edited by K0DiNE : 08-15-12 at 08:50 AM. Is there anyway you can make it so the tooltips follow your mouse as you mouse over a target, rather than just staying in the original mouse over position?? 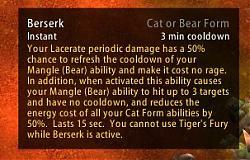 I love this tooltip addon, but I have one problem. If I disable the health bar it will still be there. I reloaded my UI. I even removed the healthbar.lua file from the addon folder. 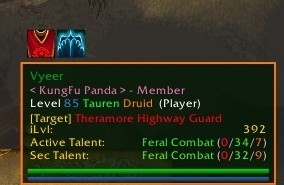 I have a feeling it's a blizzard thing, any ideas on how to remove the healthbar? 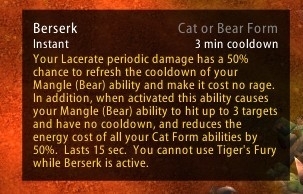 First of all, great addon. Have a couple of questions/requests. First of all is there a way to change the update rate on world units so that when I have the tootip shown to the mouse it follows around my mouse... at the momend it shows up when I mouseover a unit and only updates if I stop mouseover and do it again. A bit anoying but I can live with it. And my request would be an option to change the units name color for hostility on npcs/players and also class for players. I know you have options for border and backround colors but would be great if you could add those options too. Last edited by Devius : 10-23-10 at 06:32 AM. I'm getting an Ace-Timer 3.0 warning in the chat window stating that Icetip is running over 1000 timers & asking if that could possibly be correct. Love the tooltips too btw, & I second the Class Colored names.